Winters in the Northern regions of Japan are harsh and snow-filled, but in Akita Prefecture’s Yokote City, a unique winter festival brings fun and light to a few winter nights in February. The Yokote Kamakura Festival is today’s topic, just in time for 2015’s festival, held from February 14-16. 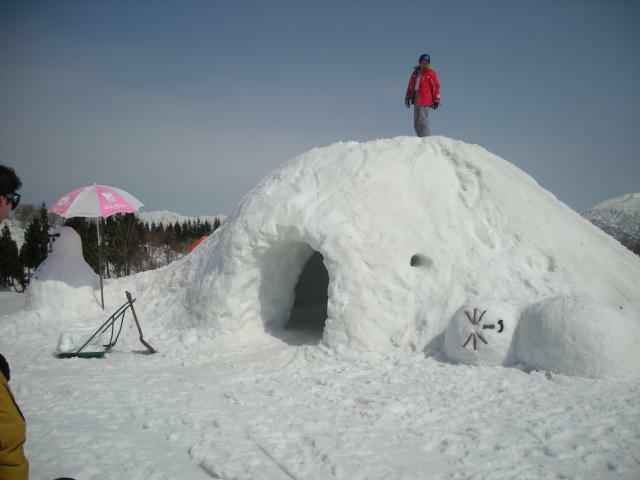 Kamakura are snow huts. 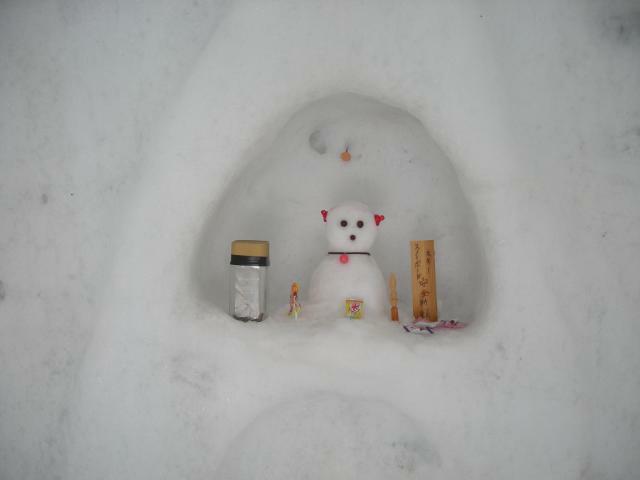 They are often made by children after a big snow in regions across Japan, and are the main component of the festival. After building many of these huts around the city, an alter is set into each, to a water deity to pray for ample water in the coming months. Children often grill rice cakes inside the hut, and beckon passers-by with hot amazake and the cakes. Visitors accept the food by entering, and make an offering to the deity in each hut they enter. Also during the festival are extended areas of the castle allowing night views of the city, making your own kamakura in Komyoji Park, and snow sculptures and food stalls around the city into the night. Not able to make it in the winter months? 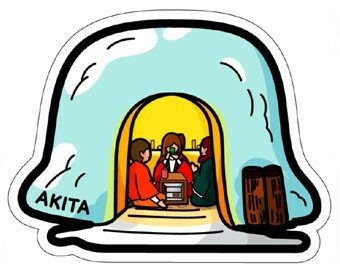 You can still view a kamakura, kept cold at the Kamakuran Hall in a special room year round. I’ve never been to the festival, but kamakura are made all around the country. These pictures are from one on the top of a mountain, which we found while snowboarding one year. They’re pretty fun! 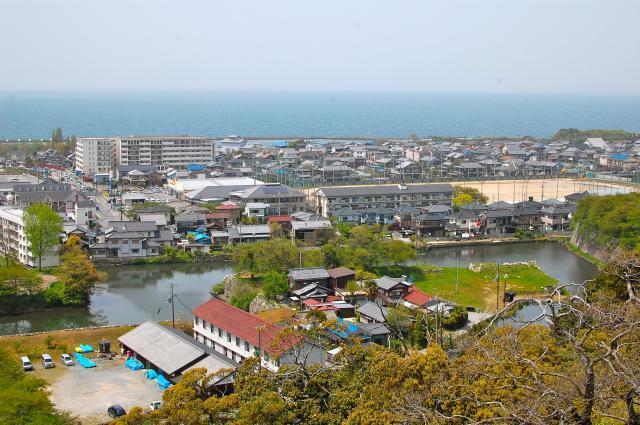 Most postcards just depict one place or feature of a prefecture, but a few are more ambitious. Shiga’s second postcard depicts three famous places in Shiga Prefecture: Hikone Castle, Lake Biwa, and Chikubu Island. These three can definitely be seen altogether (on a clear day anyway), so it makes sense to put them together. I’ll give a little background on each before posting a few pictures. Lake Biwa is the largest freshwater lake in Japan. It too is featured in the “Eight Views of Oumi” which I talked a tiny bit about when I introduced Tsukimi and Shiga’s 6th postcard. Chikubu Island is on Lake Biwa, and is a nationally designated Place of Scenic Beauty and Historic Site. There are both a shrine (Chikubushima Jinja) and a temple (Hougon-ji) on the island. Hougon-ji is a really interesting place and definitely worth reading up on. 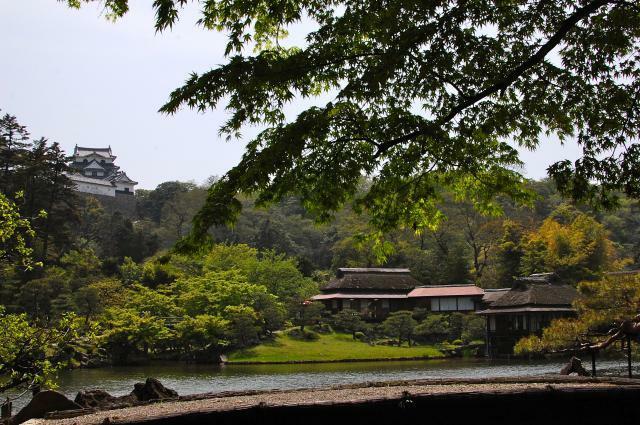 Finally, Hikone Castle is one of only 12 left in Japan with the original keep, and one of only four listed as a national treasure. Looking out onto Lake Biwa. On a clear day we could’ve seen Chikubu Island. The Castle has some nice garden areas around it not shown in the postcard, but which were very nice. 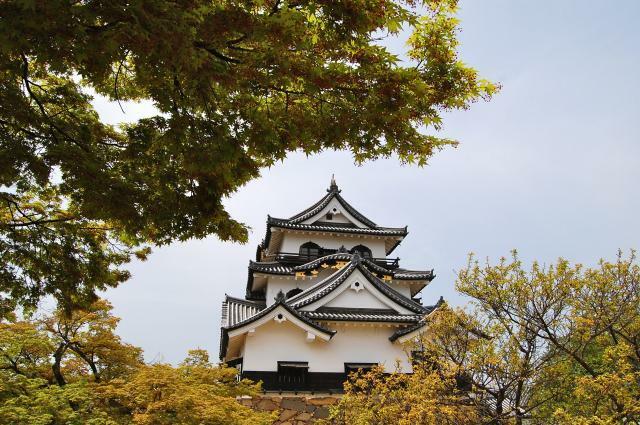 If you’ve in Shiga during the end of October/beginning of November, there’s a festival at and around the castle that looks really neat! The main event is November 3rd and you can read about it here. If you go, say “hi” to Hikonyan for me! 2015.01.20: NHK’s Fudoki program, which are short 5 minute videos on various Japan-related topics, has two videos uploaded, one about Hikone Castle’s Architecture (a short 5 minute video), and the other on Lake Biwa. There’s another NHK Program, BEGIN’s Japanology series, which has a much longer video on Lake Biwa here as well. 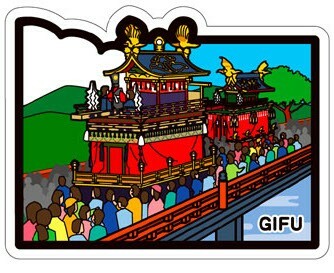 Gifu’s fourth postcard depicts a famous festival here in Japan in Takayama, which is held once in the Spring and once in the Fall every year. It is ranked as one of the three most beautiful festivals in Japan, and you can read more about it here. 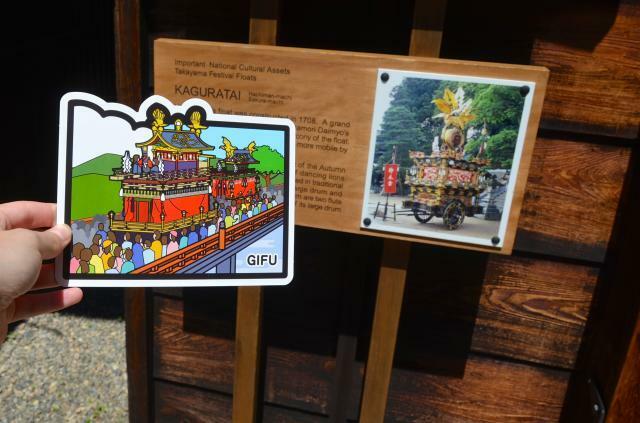 Since I went to Gifu in summer, I obviously didn’t get to see the actual festival. However, there is still a number of ways to experience this festival even if you can’t be there during the two times a year it is being held! 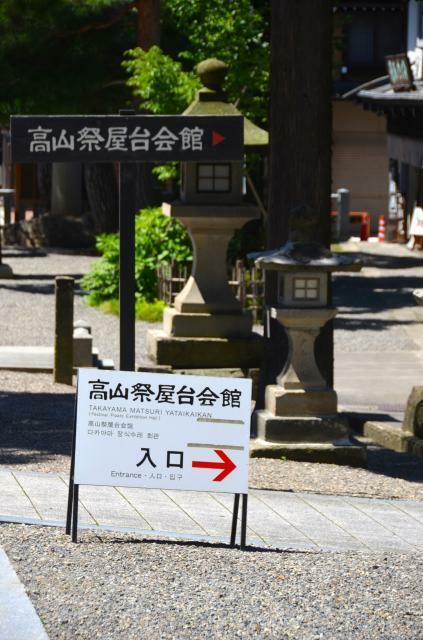 One such is at the Yatai Kaikan (Float Museum) next to the Hachiman Shrine. About 4 floats of the usual 11 are displayed on a rotation at this museum, with descriptions of each and little stories about them. Other festival items, including historical items no longer used, can be seen, and a video about the festival can be watched. 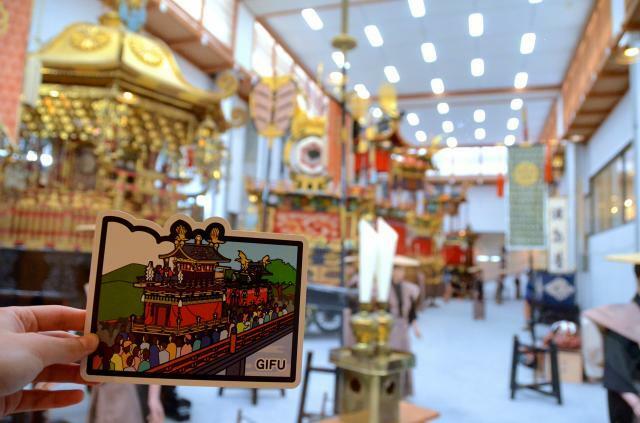 Another place to experience Takayama festivals is at the Matsuri no Mori Festival Museum which displays life-sized replicas of each of the 11 festival floats, including working karakuri marionette dolls, which are a big part of the festival. These dolls are usually operated by hand, but at the museum they are operated mechanically so as to give many demonstrations throughout the day. Since Matsuri no Mori is not in walking distance of the city (most take a bus, about 15 minutes), we chose to see the Yatai Kaikan. Also, we were able to see a few of the buildings where the floats are kept throughout the city. Takayama is a really beautiful area. Of course, it’s ideal to go during the actual festival to see it in person, but if that is impossible, there are still many ways to enjoy the festival! 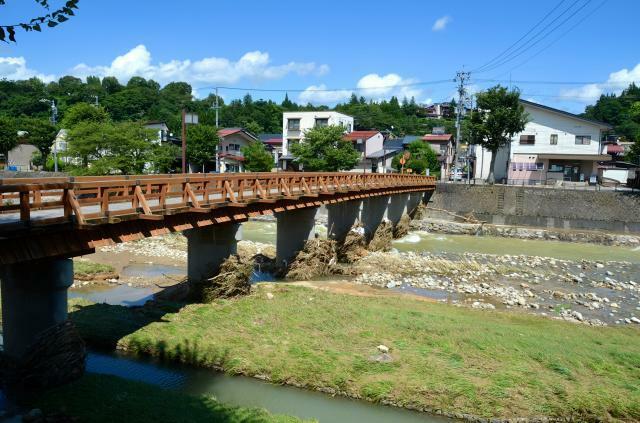 You can read more about my trip to Gifu and Takayama here! This website is all about Japan Post's "Gotochi Form Cards", cute and fun regional postcards from prefectures in Japan. Please check out the "About" or "F.A.Q." pages for more information. Thanks for visiting!